for Weddings and Special Events such as Birthday Parties, Baby and Bridal Showers, Corporate, Bar and Bat Mitzvahs, Christenings, Graduations, Corporate Events and all kinds of Celebrations. 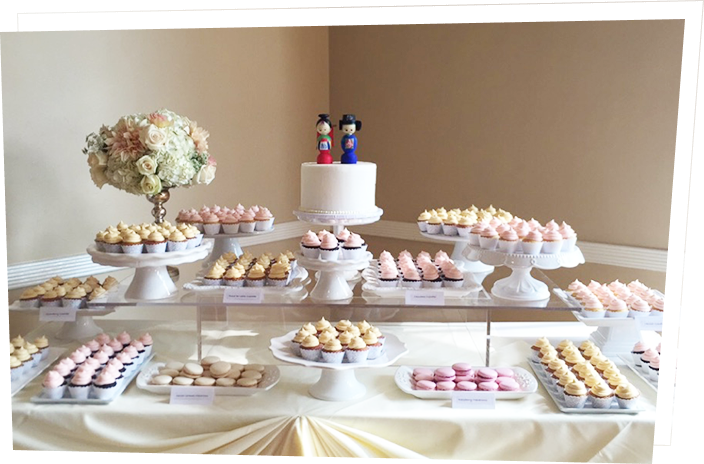 We love being your creative partner in creating the most amazing Cupcake Tiers with Mini or Biggie Cupcakes, or a combination of both. we have you covered and we love doing it! We also box Cupcakes for the perfect Party Favors. 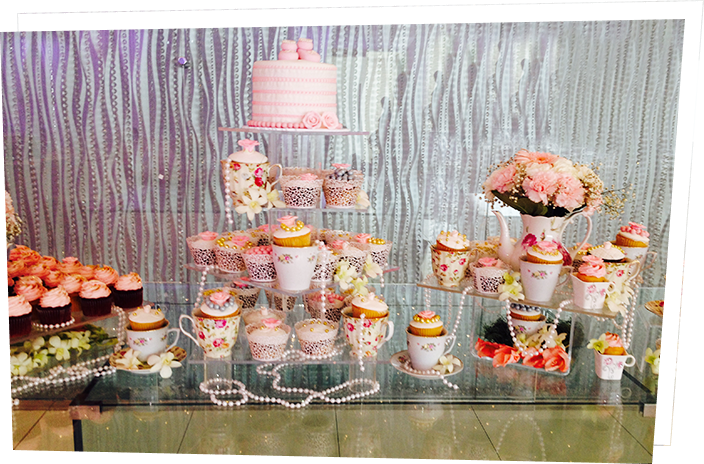 Other services we offer include stand rentals, table décor, deliveries and set up. Give us a call at (626-798-3932) to schedule a consultation to discuss your needs, budget and ideas! Please give us at least 2 weeks in advance to create something beautiful for you and your guests to enjoy!